Our Ballerina Moon is a wonderful dam! 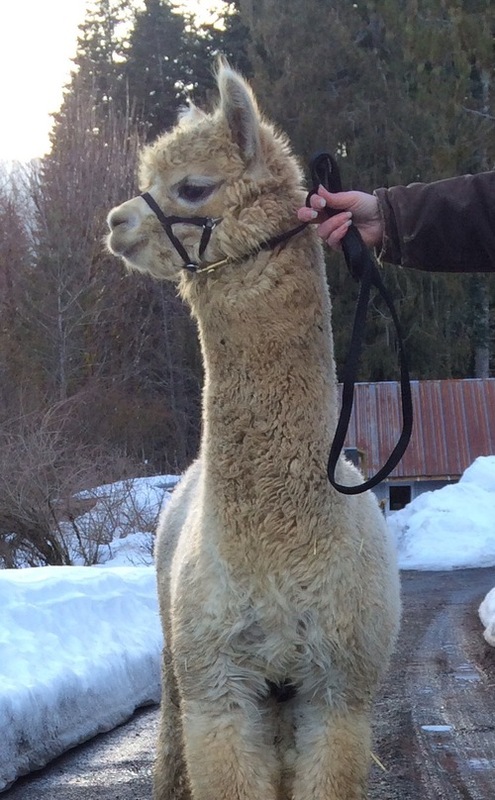 She has produced four very healthy cria. She is the daughter of Velvet's Alexander the Great and Blue Moon's Rebekah. Her bloodlines include 4Peruvian Pachacuti 6011, PPeruvian Vengador and Peruvian Hemingway. Moon is very gentle and waits her turn when eating grain out of your hand. 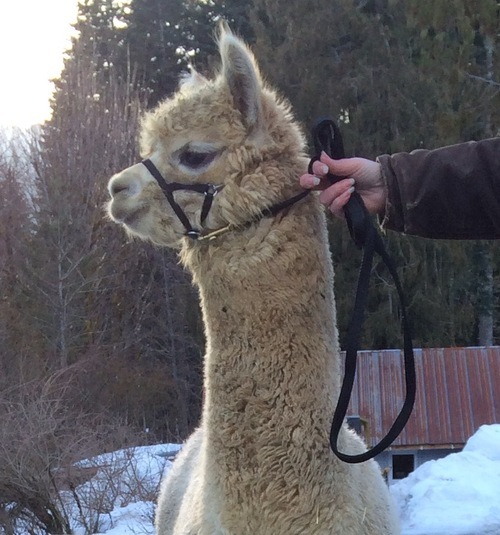 For an additional $500 we will include a breeding to any available male on our farm. 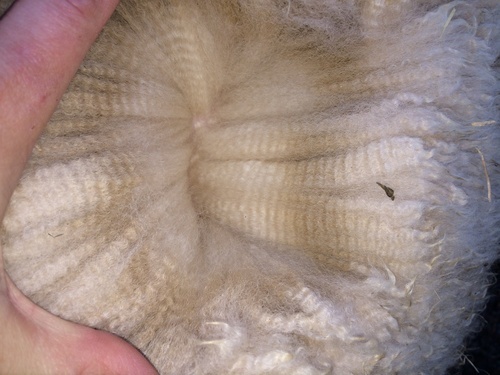 This handsome male has beautiful light fawn fleece. 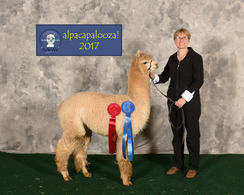 His fineness and uniformity of fineness across his blanket is what put him at the top of his class at Alpacapalooza in 2017 in second place. 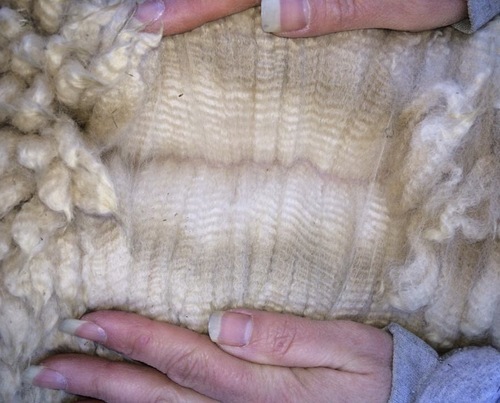 He has impressive staple length and good character and crimp as well. He has excellent bone and conformation. 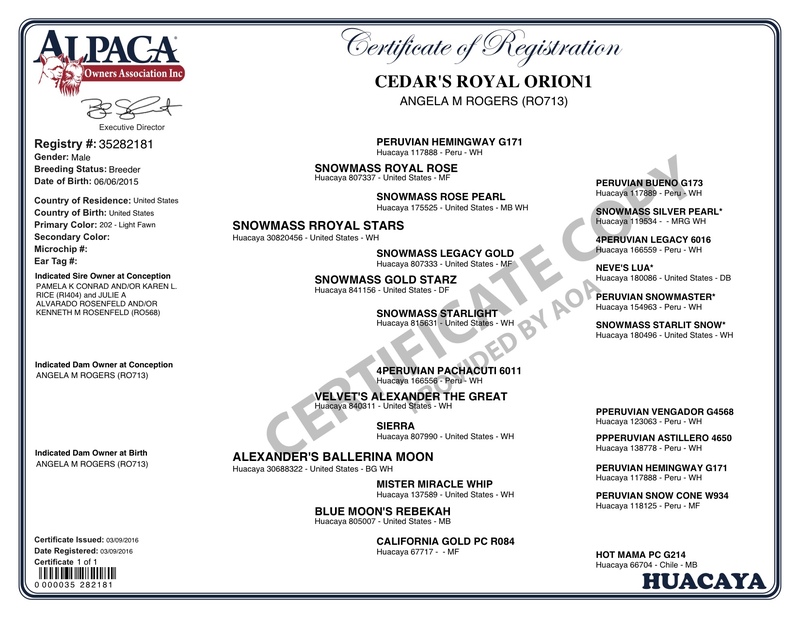 Spring is in the air and Orion is ready to start breeding. Introductory breeding fee of $500 good thru September 30, 2018.